Full details and contact information for all of our Fall ministries. Childcare for ages 0-3 for the entirety of 9:30 & 11:00 services. 9:30am: Worship service & classes for all ages. 11:00: Worship service & kids ages 4-8 dismissed after singing. Parents, Sunday/September 2 is when your kids move up a grade—be sure they know where their new classes are located for the 9:30am hour! This fall, we will begin the last leg of our four-year journey through seeing and understanding the “big story” of the Bible. For the past three years, we have been looking at Scripture from the big-picture point of view. It is a narrative—a story—beautifully crafted and written about what the world was like when God created it, what happened to the world because of sin, and how God is working to redeem the world and restore it to its perfect state as He intended. In the past three years, we’ve seen creation, the fall and God’s plan for redemption foreshadowed in how He worked through families, judges, kings and prophets in the Old Testament. 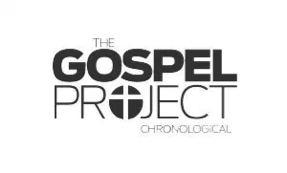 Last year, we spent the entire year focused on the great turning point of the story: the birth, ministry, death, resurrection and ascension of our Lord, Jesus Christ. This year, we will complete the story, beginning with many weeks studying the book of Acts: how God designed us to work as a church together in the mission of declaring and expanding His kingdom in a world that is either ambivalent or hostile to God and His work. We’ll do it from a perspective of the great power that resides in us to make our mission successful: the Holy Spirit; God Himself living in us to empower us for the work He prepared for us to do. Come join us as we pursue God together. If you are a parent, we particularly encourage you to come and equip yourselves to make disciples of your children as you review God’s story together at home. 9:30am: Worship service & classes for all ages. 11:00: Worship service & kids ages 4-8 dismissed after singing. * Parents, please be sure to go by the Kids Check-in room downstairs and get a sticker for your child(ren) if they will attend classes or childcare. Our middle school and high school youth meet weekly on Wednesdays, 7-9pm, for games, Bible study, and small group discussions. Join Pastor David and come be a part! Join a life group. Reconnect with close community. Groups meet Sunday afternoons and Monday-Friday evenings. A LIFE Group is a smaller community within the church as a whole that is seeking to make disciples of Christ and live out Romans 12:10-13. We encourage growth, inspire mission, and care for one another. WE are the church, BE the church! Join with other ladies on Tuesday mornings between 9:30-11:30am us as we dig in to the Word to explore the role of the Holy Spirit in our lives, as well as enjoying prayer and fellowship together each week. Childcare provided free of charge. Signup is needed. RSVP online here , or visit the table at the back of the sanctuary on Sept 2 or Sept 9. May 9.) Childcare will be provided for those who sign up. Signup and payment is needed. RSVP online here <once City event is created on the plaza>, or visit the table at the back of the sanctuary on Sept 9. Join with other young adults (18 years and older) and encourage each other to pursue Christ through His Word, worship, and fellowship. Friday nights starting September 14, 7:00-9:00pm (schedule follows the Life Group 10-week sessions). Kids ages 3-15 can join in this weekly time of fun and Bible memorization on Sundays, 4-5:30pm. It’s where kids hear the Gospel and learn the Bible in a dynamic setting, complete with mentors, games, theme nights and special events. 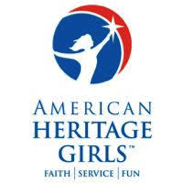 American Heritage Girls (AHG) is the premier national character development organization for girls ages 5 to 18 that embraces Christian values and encourages family involvement. AHG Troop 711 meets at BRBC. Come join us for faith, service, and fun on Monday evenings starting in September.